- $14 million investment recognises AgriWebb as a global leader in digital agriculture and demonstrates commitment from leading UK firm in the long-term viability of Australian farmers. - Investment comes at a key time for Australian farming as the industry looks for innovation in the face of long-term climate challenges. - Australia’s agriculture sector is predicted to become Australia’s next $100bn industry by 2030. In a move set to transform the future of digital agriculture, UK based Wheatsheaf Group, a leading global investor in and developer of agricultural technology (AgTech) businesses, has completed a $14 million (AUD) transaction for a minority stake in AgriWebb, Australia’s market leader in livestock farm management software. The deal includes AgriWebb’s acquisition of the UK-based livestock and dairy software FarmWizard from Wheatsheaf. With the FarmWizard acquisition, AgriWebb is positioned to develop a more advanced farm management product suite that will consolidate FarmWizard’s dairy and individual animal management functionality with AgriWebb’s existing cloud-based livestock herd management software. With the digitisation of agriculture on the rise, this product combination will provide the first-of-its-kind solution to solve for the ongoing needs of livestock producers and supply chain enterprises, enhancing AgriWebb’s ability to help the sector become more efficient, competitive and productive. Wheatsheaf Group is a leading global investor in, and developer of innovative food and AgTech businesses, which contribute enduring solutions to help meet the food requirements borne out of the increasing demands of a changing global population. Projections from the Food and Agricultural Organisation of the UN (FAO) indicate that the earth’s population will reach 9 billion by 2050, resulting in a required increase in food production by up to 60%. AgriWebb is transforming global cattle and sheep production with farm management software that delivers profitability, provenance and sustainability across the supply chain. 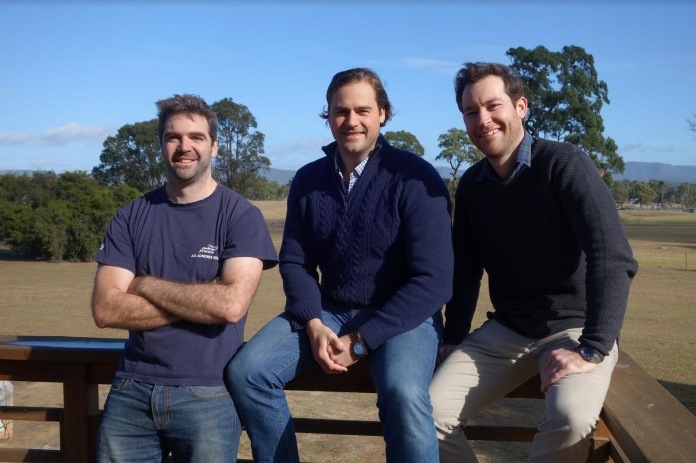 Focused on building software for livestock farmers, AgriWebb is Australia's market leader and is rapidly expanding across the globe in multiple markets including South Africa, New Zealand, the UK and Brazil. With 10% of the national Cattle and Sheep stock across 35 million acres being managed on the AgriWebb platform, users have seen livestock production performance increases of 20% through the use of AgriWebb. Wheatsheaf Group, based in the UK, directly operates, invests in and helps to develop businesses in the food and agriculture sectors. Through the activities of over 2,500 people across 34 countries, and the development of innovative technologies, it aims to contribute enduring solutions to improve efficiency in the production of healthy and nutritious food to meet the food requirements borne out of the increasing demands of changing global population. FarmWizard is an innovative provider of agricultural software for the effective management of farm resources across livestock and dairy supply chains including farmers, processors and retailers. Launching in 2004, FarmWizard was one of the first providers of mobile phone-based livestock management solutions, and so has paved the way for the now burgeoning digital agriculture space, using powerful analytics to provide unique insights and transparency. Based in Belfast, they currently operate in the UK, North and South America, South Africa, New Zealand and Australia.